This week, word of massive security issues affecting nearly every modern, Intel-powered device made for some shocking news for smartphone and computer users—basically, all of us. Two security flaws, Meltdown and Spectre, are hurriedly being guarded against by major tech companies, and now Apple is joining the rush to safeguard users and their data. 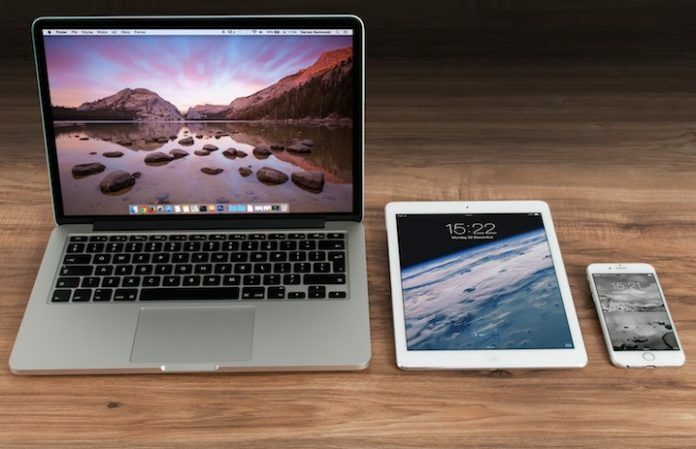 Find out what you can do to protect your Apple devices below. As reported by Bustle, researchers with Google's Project Zero and Graz University Of Technology revealed on Jan. 3 that the two bugs affect Intel processors made within the last 10 years, creating vulnerabilities that allow hackers to launch programs that can steal any data being processed—passwords, messages, and pretty much anything else. On Friday, as covered by NBC News, Apple admitted that all Macs, iPhones and iPads are affected by the Meltdown and Spectre security flaws—although, reportedly, no users have so far been impacted. The company says it's released a patch for Safari on iOS to guard against Meltdown and claims it will have another patch to protect against Spectre soon. macOS: Make sure that your Mac is up to date to help protect against any security flaws. You can select the apple icon in the top left corner of your menu bar, hit “About This Mac,” and check to see if your OS number is 10.13.2 or greater. If it's a previous version, you can select “Software Update” under the summary of your Mac's system info to update. iOS: It's recommended to update to iOS 11.2 by going to “Software Update” under the “General” menu of “Settings.” Ensure your iOS device is charged up (or plugged in) before doing so—you don't want to shut down during an update. Read Apple's update about Meltdown and Spectre here. Apple Watches aren't said to be affected by the security flaws—and for Apple TV, you can update to tvOS 11.2 by checking for software updates under the system settings. (Apple also has instructions for updating older Apple TV systems.) The company says it's currently working to protect the Safari browser from further exploits on macOS and iOS.